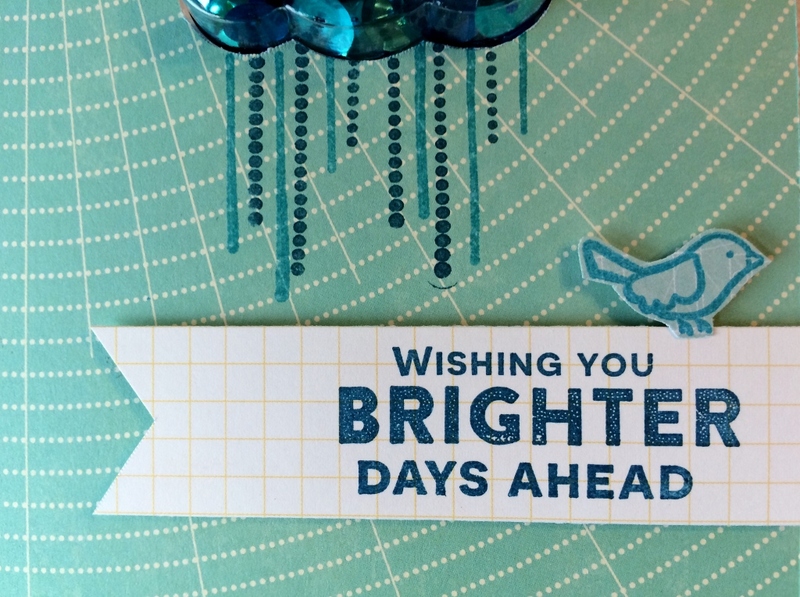 This winter weather may have you wishing for brighter days too. Cheer up, the new shaker cards have arrived! 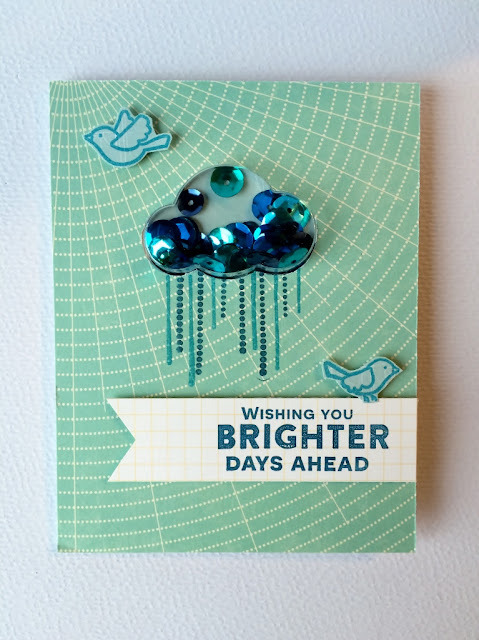 Here is a sweet encouragement card in lovely shades of blue. This card is guaranteed to cure the winter blues. The new shaker card system has the card bases with cutouts, the plastic shapes with adhesive, coordinating stamp sets and sequin packs of fun colors. So I began with the cloud card base and traced the cutout onto my blue background paper, Trendy Tomatoes from Cool Cucumber Soup. I cut out the traced shape and then I adhered the mat to the card lining up the cutout. 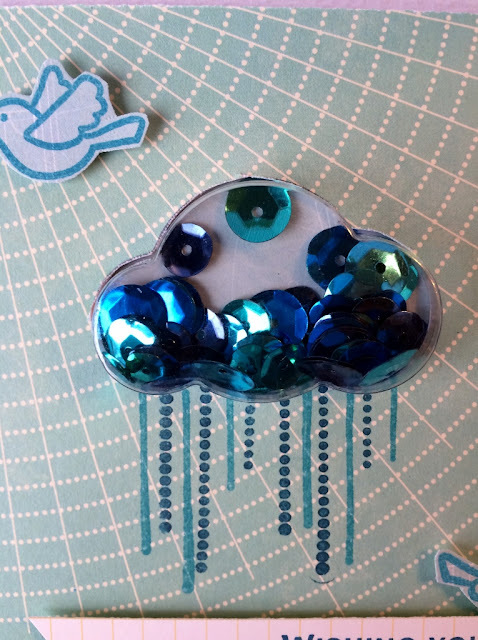 Next I chose 3 shades of blue sequins to put into the plastic shaker cloud. Then I chose the Blue Print paper as a backer in a lighter shade of blue. Using that same paper I stamped the blue birds in blue ink and fussy cut them out. Using two shades of blue ink I stamped on the rain under the cloud cutout as shown. Then I removed adhesive from the plastic cloud insert and attached to the card adding a backer to the inside cover to keep it all in place. Then I stamped the sentiment onto Stirred Elements paper in the darker blue ink as shown. After that I cut the sentiment into a banner piece and attached to card base with 3D foam dots. Then I added the blue birds with 3D foam dots as well. Listen, do you hear the bluebirds singing? May all your winter days be bright and sparkly!